David Healey author | David Healey is the author of historical thrillers, mysteries, and regional histories about the Chesapeake Bay and Delmarva Peninsula. This is the online home of David Healey, author of thrilling historical fiction and regional histories. Over the years, quite a lot has been added to the site, so this page will help you get started with navigating HealeyInk. Please start by getting your free ebook! When German sniper Dieter Rohde’s older brother is unjustly shot for desertion by the SS, he will stop at nothing to win the Iron Cross medal and redeem his family’s name by targeting as many Allied troops as possible. Rohde’s deadly efforts bring him into direct confrontation with American sniper Caje Cole. Rohde may be driven by ambition, but he hasn’t encountered an adversary like Cole, the so-called hillbilly sniper who is as hard as the mountains he calls home and as wily as a backwoods fox. As the final pitched battle for France takes place around them at the Falaise Pocket, these two snipers declare war on each other. **Limited time** Get the audiobook for free. High atop the Chesapeake City bridge, a pair of ospreys has returned to its nest, just as the birds have done each spring for the last several years. These birds of prey have a hawk eye’s view of the town and canal below. Perched more than 200 feet above the water, they seem oblivious to the rush of traffic and boats below. It’s an unusual place for these fish hawks to nest. Ospreys prefer dead trees along the waterfront, utility poles or even pilings rising the county’s tidal rivers. Their high perch had some onlookers confusing them with their more rare and famous cousins, the peregrine falcon. More than 10 years ago, when the birds first appeared, I invited local bird expert over to the backyard to help identify the birds. “Any bird of prey is a good bird,” said Charlie Gant, who had been watching birds and hawks in Cecil County for decades. On that visit, he was able to positively identify the birds as ospreys. The birds have returned each spring since then. We can usually tell because of the noise. They tend to screech a lot, as if they are annoyed. Once the baby birds appear, that screeching multiplies. Home sweet home at the top of the arch. He explained that ospreys are not that unusual in the area. At last count, he knew of seven osprey nests within a mile of his home on the Elk River. Ospreys feed almost entirely on fish, although they might snag the occasional duckling or other small creature. In the canal, that means a steady diet of perch and catfish, perhaps with an eel or rockfish thrown in. The birds will hover over the water and then plunge down to spear fish in their sharp talons. They sometimes get carried away in their fishing, Gant said, latching onto a huge carp or rockfish that literally pulls the light-boned birds underwater. This steady diet of fish was almost the undoing of the osprey. Not so long ago, these large raptors were a rare sight, much like eagles and falcons. The culprit was DDT, a pesticide that had entered the ecosystem with devastating effect. Once DDT built up in an osprey’s system from eating contaminated fish, the eggs it laid had thin shells that cracked ruinously. The birds were in danger of disappearing from the Chesapeake Bay area. Since the banning of DDT in 1972, ospreys and other raptors have made a steady comeback. “They’re fairly plentiful here,” Gant said. But no so plentiful as to be ignored. The ospreys on the bridge make constant hunting trips over the canal. Their nest is barely visible on the bridge’s highest arch as an untidy bundle of driftwood. One day last week, a bald eagle soared far above the bridge, causing the ospreys to swoop around their nest in alarm, making shrill cries. Bald eagles are known for stealing fish that the hard-working osprey have caught. The eagle flew on, leaving the smaller hawks alone. The ospreys then settled back into the nest, their heads just visible above the rim of the bridge arch. Motorists on Route 213 can get a distant glimpse of the nest as they approach the bridge from Elkton. The birds and their home are best seen from the levee road along the canal. Binoculars for watching those fish hawks! Neighbors have nicknamed the ospreys Del and CC, a sort of play on their chosen home above the Chesapeake and Delaware Canal in Chesapeake City. According to Gant, ospreys migrate to Florida or even South America each fall. They return to their nests in Cecil County around St. Patrick’s Day. (The birds have, in fact, returned each year almost on the same day.) Most return to the same nest year after year. The nest on top of the busy bridge might be an unusual location, but it is a nice bit of real estate for an osprey. The new issue of The Big Thrill is out, and in it, there’s an interview by Your Correspondent with Math Bird, the Welsh crime writer. Math and I spent about 40 minutes back in September chatting by Skype about his writing. Something that stood out from that interview, besides getting a chance to know Math a bit better, was that he and his wife live on the Dee Estuary in Wales. This waterway creates a boundary between England and Wales. Just a couple of days after interviewing Math, my wife and I were watching an episode of a BBC show called “Escape to the Country” on Netflix when the show focused on a couple looking to move to Wales to a house overlooking—the guess it—the Dee. Strange coincidence, considering that I’d never heard of the Dee until a couple of days before. Math is a great writer, and you can read more about him—and Wales—in this article. It seems like readers everywhere—or maybe that should be listeners—are really getting into audiobooks. Why is that? I think that a huge factor is technology. It’s so easy now to listen to an audiobook. Simply click on a title and download a sample or the book itself to your phone or tablet. Pop in your earbuds, and off you go to ancient Rome, or Nantucket, or heck, a WWII battlefield! I have surprised myself by discovering that I also enjoy listening to books in this way, simply because it is so convenient. I remember when listening to an audiobook wasn’t so easy. In fact, I distinctly recall listening to an Ed McBain novel while stripping wallpaper and then painting one of the upstairs bedrooms in our old house. This was a book on cassette tape, played over a boombox. It always seemed like when I was up on the ladder, the tape ended! I was always juggling tapes, trying to find the right order. If I missed some of the story due to the wallpaper steamer hissing too much, it was a pain to rewind and find that spot again. CDs were a little better, but there was still the problem of juggling the 8 or 10 CDs in a typical audiobook. Also, CDs were OK for the car, but still not terribly portable. With your smartphone, it’s all right there! One especially cool feature is that if I am reading a book using the Kindle app on my phone, and then I drive somewhere and listen to the audio version, the device magically syncs and picks up where I left off in the story, whether I am listening or reading. Of course, it’s very easy to take along a book when out for a walk. However, I have to admit that I do love a good podcast when out for a walk. Podcasts may be a topic for another day! Someone mentioned to me recently how he listens to books on planes and in coffee shops. These are both noisy places, but when he puts on those headphones, he is transported to another time and place. As a writer, I find it interesting how the performance of the book can add a new dimension to the story. The way that a line is delivered, or the pacing of dialogue, can take me by surprise. It might not be how I would have read the story on the page. Of course, a good narrator can make or break a novel for listeners. It takes quite a talented person to perform a novel, for make no mistake, it is a performance. As a general rule, I don’t think that the authors themselves tend to do a very good job because they are not trained voice actors. Three of my novels have received the audiobook treatment to date. Give them a listen at the links below! One of my favorite recent listens has been the Jefferson Tayte series by Steve Robinson. The main character is a professional genealogist who solves mysteries by what the family tree reveals. He has a whole slew of these novels out now. Generally, Tayte’s cases take him to England. There are those who would rather that some family secrets stay in the past—that’s an example what puts Tayte in terrible danger. Who knew that genealogy could be so exciting? I have tried reading the books, but there is something about the delivery of the story in an audiobook that elevates the level of excitement. Unfortunately, all of us occupy a busy world that doesn’t leave us much space or time for stretching out in the hammock and reading a proper book. Audiobooks are a way to absorb a novel or nonfiction book in new ways. Give them a try. You may surprise yourself by enjoying the experience. I know that I have! The Eastern Shore is a unique place, so it’s fitting that this new anthology features writers and writing from our Chesapeake Bay region. Bay to Ocean: The Year’s Best Writing from the Eastern Shore offers fiction, nonfiction, and poetry that capture some of the spirit of the region. For this anthology, I wrote a short story called “Last Stand at Turkey Point Light” that imagines an attack by a German U-boat on Turkey Point Lighthouse. This may seem farfetched, but some of the historical facts back up the fact that there were concerns about security at what was then an important aid to navigation for wartime shipping. U-boats prowled the Atlantic coast, so the Intracoastal waterway provided a safer alternative route for everything from supplies to troops. 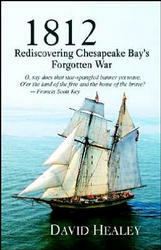 Could one of those U-boats slipped into the upper Chesapeake Bay intent on wreaking havoc? All that stands between these German saboteurs and Turkey Point is a character who closely resembles Fannie May Salter, the brave light keeper personally appointed by President Calvin Coolidge. Read the story and you may find yourself wondering if the attack really could have happened and was simply kept out of the news. It was a pleasure to have this story selected for Bay to Ocean, and the story is in good company. Some of the offerings are fun and some are serious. In particular, I really enjoyed the poetry by Tara A. Elliott, Pat Valdata, and Wendy Elizabeth Ingersoll, among others. The thing about poetry is that a poem may take just a few minutes to read, but it echoes for a long time so that you will find yourself savoring the thoughts and images that these words bring to mind. This book is a must-have for those interested in the culture and history of the region. Of course, sales help to support the Eastern Shore Writers Association and its activities, including the Canal Town Writers Conference. Copies are available at amazon.com and also at small shops throughout the region. “I’m a working-class kid from a generation that speaks in emojis,” says Ian Truman, a Montreal writer with a French accent who has been known to lapse from time to time into Franglais, a patois of English and French spoken by the young and hip in one of North America’s most European cities. 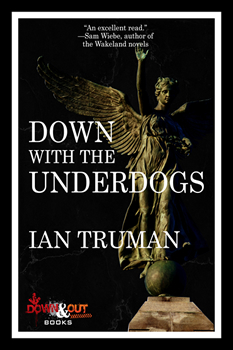 At 35, he is also an up-and-coming writer who is becoming known to audiences well beyond Montreal with the release of his second novel, DOWN WITH THE UNDERDOGS. Told in first person, the novel unwinds the story of D’Arcy Kennedy, a working-class tough guy drawn into employment with the Irish mob during a get-rich-quick gentrification boom that is seeing the old neighborhoods and criminal order of the city upended. As a writer and Montreal native, Truman knows the subject well. He has watched the rising popularity of this city of 4 million with interest. He said that the city itself it a fascinating mix of languages and accents, with French-Canadians rubbing elbows with newcomers from places like Algiers, and even waves of transplants from France drawn by a lower cost of living and the comfort of French culture. “You can walk down the street and hear all sorts of different accents,” he says. And did we mention the long, cold winters? For the full article in the September issue of The Big Thrill, please click here. Maryland Public Television recently gave me a chance to talk about my favorite book from the Great American read list. 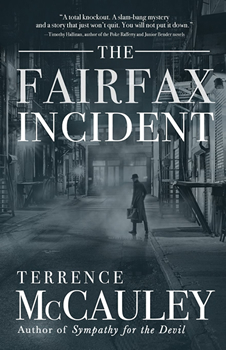 Set in 1933, THE FAIRFAX INCIDENT by Terrence McCauley seems at first to be a traditional noir detective story with a Raymond Chandler-like vibe. However, it soon becomes apparent that Charlie Doherty is an evolved and nuanced private eye. Imbued with a sense of history and complex characters, there’s more than meets the eye at first glance in this novel—much like the case that Doherty takes on. The novel begins with Doherty interviewing the widow of a wealthy New Yorker who appears to have committed suicide. However, the widow insists that her husband did not shoot himself. Thus begins a case that leads Doherty through a twisty plot filled with politics and intrigue. The author’s earlier trio of thrillers was actually set in the near future, with some futuristic predictions that have already come to pass. In Sympathy for the Devil, for example, he incorporated the kind of fingerprint recognition technology that exists today but that was more predictive of the future when the book came out. Now, he’s delving into the past with a series of novels set in the 1930s. 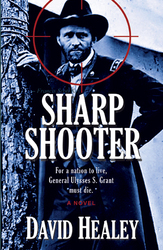 Several real-life events are woven into the story for historical context. In fact, it might be challenging to find a historical setting more interesting than 1930s New York City, rife with Depression-era events and politics. FDR had just taken office to begin what would become a 16-year term in the White House. Mobsters still called the shots in much of the city. There was still great wealth among those who weathered the economic crash. However, there was also terrible poverty described in the Hooverville camps (named for President Herbert Hoover) made up of penniless homeless men. The threatening political dynamic leading up to WWII plays a role in the story. The economic conditions have sparked an American brand of Nazism that is all the more chilling for its historical accuracy. Please click here to read the full story at The Big Thrill.